With Mother’s Day coming up, many children and spouses are wondering what they can do to make the day special for the mother in their family. A present and some flowers may not be enough, so why not dedicate the day to spending time with mom doing something that matters to her? Here are some ideas of Mother’s Day activities that are perfect for vegan and vegetarian mothers. Gardening is a great hobby for vegans and vegetarians, as it allows you to grow the ingredients for your diet right at home. If the mom in your family is already a keen gardener, you could dedicate the day to helping her tend to her green space. Not only will the additional helping hands be extremely useful for her garden, but gardening is a great way to strengthen family bonds and spend quality time together. If your home does not yet have an edible garden, you could dedicate a few hours on Mother’s Day to creating one together. Although it will depend on your local climate, you can use this general month-by-month guide to figure out what vegetables and herbs to plant this May for the garden of mom’s dreams. 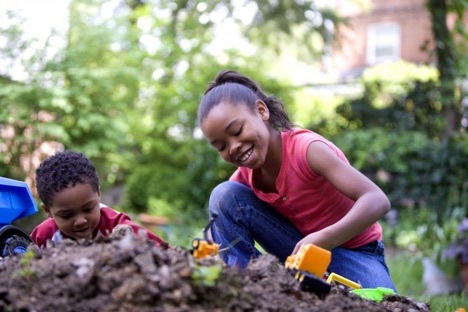 Planting a garden together is a great way to ensure that every member of the family feels included in the process, and thus feels a responsibility for maintaining it. An outdoors edible garden is not just a delicious complement to your kitchen, but it can also be a beautiful space that brightens up the neighborhood. Redfin has a few recommendations for growing an edible garden that your neighbors will love, which include growing attractive, colorful vegetables, containing sprawling and less aesthetic plants in containers and making sure to include plants that will stay pretty once harvest is over. You can also get in the neighborhood’s good graces by taking around some extra produce, so that they can benefit from the edible garden as well. If you already have an edible garden, you could prepare a delicious family meal using your seasonal produce or any preserved ingredients you have grown throughout the year. Take some time to find a recipe you know she’ll love, and make sure it is something relatively simple that you can do without her help. This list of simple vegan meals from Buzzfeed can give you some ideas, and you can even combine a few dishes for a bigger spread. Of course, if she loves cooking herself, she might prefer to make something with you. In that case, prepare a few options so that you can choose one together and spend some quality time together making a Mother’s Day meal. If the mom in your family has more of a sweet tooth, you can challenge yourself with some vegan baking. Baking without eggs or butter requires some creativity, but there are plenty of wonderful recipes for cakes, cookies and brownies that fit the bill. Many even use vegetables like beetroot, carrots, sweet potato, or zucchini, meaning you may have the base ingredients for a delicious cake growing in your garden! Growing your own food and cooking with it is one of the most satisfying things a vegetarian family can do. It makes every meal more special and exciting, and is also a great way for children to learn the importance of eco-friendly, sustainable habits. Whether you already have an edible garden or not, getting a bit messy – whether it be in the garden or the kitchen – is a fun and satisfying way to spend this Mother’s Day as a vegetarian or vegan family.